Yoga teacher training generates humongous career benefits for teacher aspirants but it also generates value in many other ways. From injury prevention and increased flexibility to improved posture and a happier lifestyle, the benefits of yoga are well-known. However, the benefits that encourage people to pursue yoga teacher training are less widely known. That’s why here we are listing out 10 amazing benefits of yoga teacher training. A natural consequence of joining a yoga teacher training program is that it will help you take your yoga practice to a whole new level. By learning advanced techniques and poses from experienced yoga teachers, YTT certification will improve your comfort level with the ancient art which can take decades to master. A good yoga teacher training program will not only change your view on yoga itself but on life as well. You will be exposed to a nurturing environment, interact with new people and discover unique perspectives on life, which will eventually make you open-minded and accepting in nature. This indeed is one of the greatest benefits of yoga teacher training. Breathing is the bridge between your mind and body. Before teaching others, it is very essential to learn meditation, breathing techniques, and connect with your inner self. Training with experienced yoga teachers and trainers greatly helps in diving deeper into your mind and unearthing your true potential. Indeed a benefit of yoga teacher training worth delving upon. There is a great chance that your yoga teacher training journey will lead you to a place that will truly enchant you. Plan your yoga teacher training to a place full of greenery and spiritual energy to get the best of everything. The biggest benefit of yoga teacher training travels is that you are doing what you love, and you will get paid for it. After the experience of yoga teacher training, students have reported experiencing the outflow of creativity with their yoga practice. Since yoga teacher training comes with learning new yoga asanas and practices, our way of thinking and seeing the world is also altered. Yoga is fast gaining popularity as a practice that not only helps you achieve overall wellness but also facilitates recovery from troubling pains of the body as well as the mind. There are some yoga forms that are especially suited to physical healing and are practiced to recover from old injuries. Friendships made during yoga teacher training course are very special ones. Best yoga schools bring together students and practitioners from all over the world, triggering knowledge as well as cultural exchange. However, the greatest treasure is the human connections made which students report are stronger and sometimes everlasting. 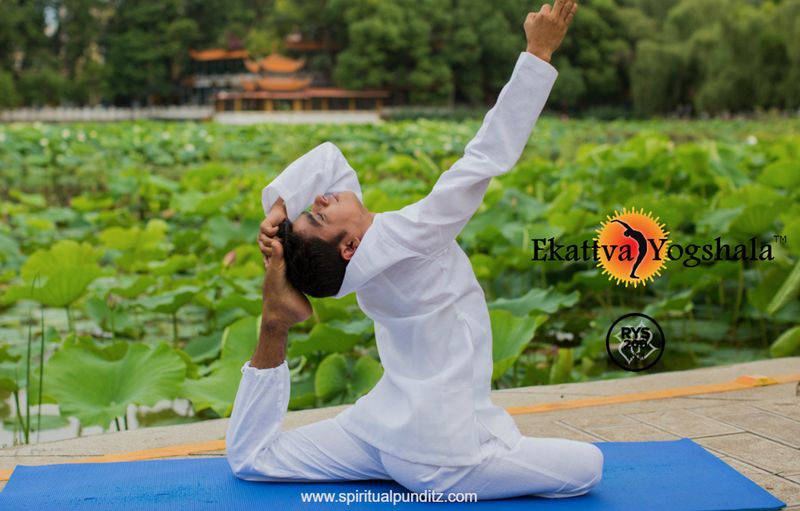 As top yoga school of Rishikesh, we are familiar with the multi-dimensional aspects of the yoga practice and how it gives a sense of fulfillment to students who experience physical, mental, and spiritual transformations. Another yoga teacher training benefit worth highlighting before our list ends! Yoga teacher training sessions usually happen in small groups and the whole program offers ample scope of team activities. These activities help participating members work together which leads to team skills and polish their problem-solving capabilities as well. View student photos on Instagram. The multi-dimensional approach of yoga teacher training gives students the know-how and strength to pursue their passion for yoga. While some opt to start their own independent classes, others realize that they still have a long way to go. Another benefit of yoga teacher training is the courage that comes along with it. It’s widely known that participating in a yoga teacher training course and even preparing for the same is life changing in its true essence. Yoga practice touches us physically, to mentally, spiritually and emotionally. The efforts we put into becoming a good yoga teacher results in great personal benefits as well. While advantages of yoga teacher training certification are many, becoming a renowned yoga teacher is a time-consuming process. It will take years to learn the variety of asana modifications, gain deep clarity of yoga philosophy, and live a yoga-inspired life. Hence, it is best to start as soon as possible! Yoga has become a global phenomenon and its influence is definitely growing. As more & more people discover the health and spiritual benefits of yoga, the need for qualified yoga teachers will keep on growing. Whether you decide to pursue yoga recreationally or professionally, yoga teacher training will certainly change your life. The benefits of 200 hours yoga teacher training course are humungous and the program will make the deep impact on your life. Want to learn more about 200 hrs yoga TTC and upcoming batches? Email us at info@spiritualpunditz.com to discuss your teacher training queries.